Introducing the ALDHU cranks, ROTOR’s lightest cranks ever. The innovative modular structure, together with axles and different chainring options, makes each component individually available to accommodate the current spectrum of riders and bike standards. 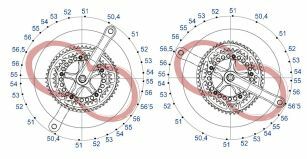 The ALDHU incorporates OCP Mount technology, which enables the rider to fine-tune the orientation of ROTOR’s oval Q RINGS. The ALDHU proprietary, patent-pending design is based on the modularity of each crankset component. Our new model name comes directly from our racing heritage. It is an abbreviation of Alpe d’Huez to commemorate ROTOR’s first iconic victory at the Tour de France with Carlos Sastre. OCP Mount’s patent-pending, proprietary technology allows you to precisely adjust your optimal chainring position to within one degree increments. 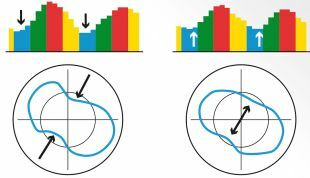 ALDHU responds to your individual biomechanics allowing you to configure your unique OCP (Optimum Chainring Position) so that your maximum power transfer is activated at the most optimized point of your pedal stroke. The integrated configuration of the one-piece oval direct mount chainrings resulted in our lightest crankset ever at 599 g. Machine CNC’d from single blocks of aluminum means a reduced number of parts for easier maintenance and increased durability without compromising on stiffness. We take meticulous care when crafting our ALDHU crank arms using aeronautic-grade 7055 aluminum. The sophisticated CNC process drills three full-depth holes from axle to pedal employs micro structural engineering technologies. The result is a crankset with superior rigidity and an exceptional stiffness to weight ratio that can handle anything you can throw at them on the toughest of rides.